Banjo Kazooie Coming to the XBox 360! I managed to drag myself away from my car stealin’ murderous rampage through Liberty City, to bring you some screenshots of an entirely different kind of franchise that’s making a welcome return to the living room. 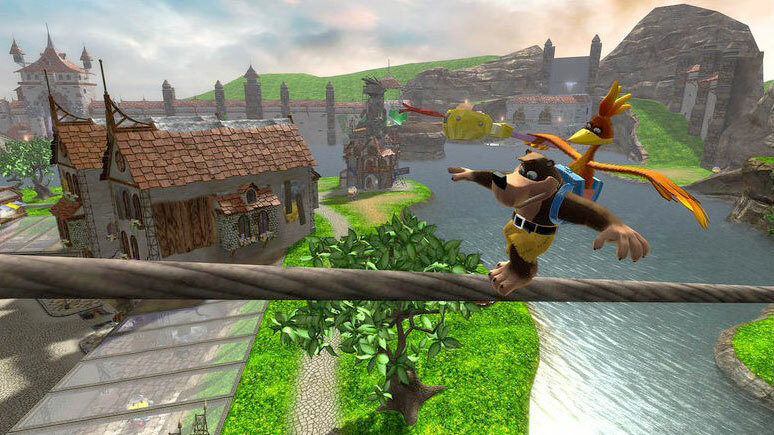 Rare’s Banjo Kazooie is back, and coming to the 360! I was a huge fan of the original N64 version, and a massive fan of Rare’s work, so i’m very happy to see these first shots of Banjo Kazooie’s jump to nextgen, and they’re looking great! Hop on over to the folks at Shacknews to see all the screenshots. Almost enough to make me buy a 360, wow, I didn’t think they’d make another tho its been so long.